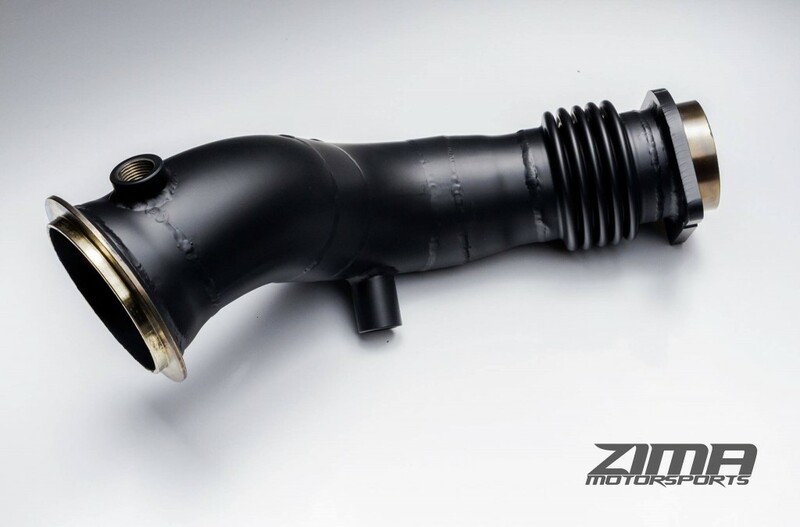 My friends at Zima Motorsports just released a new downpipe for the M3/M4 BMW. Now that BMWs are turbocharged, one of the best mods you can do is to put on a better flowing downpipe. But before we get into Zima’s new product, lets ask the basic question. What’s a downpipe and why do you want one? 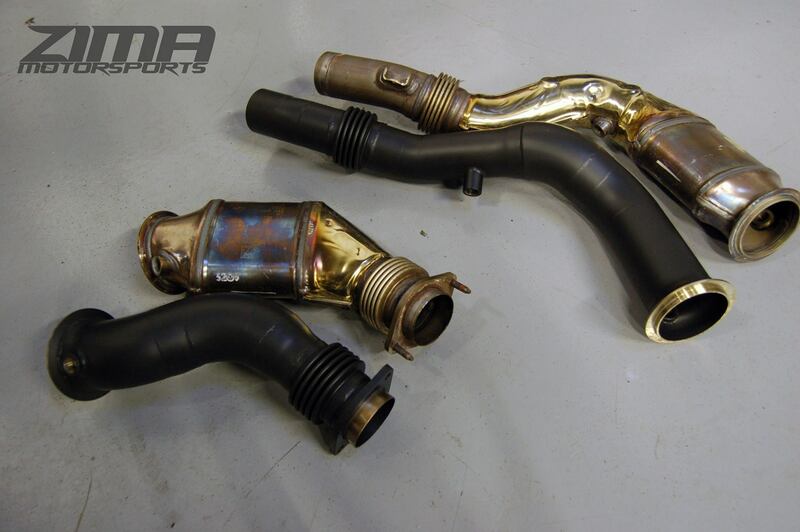 Technically, the “downpipe” of an exhaust system connects the headers or exhaust manifold to the catalytic converter or muffler section. For most vehicles, the downpipe section is essentially incorporated with the catalytic converter section, and since there’s very little performance or fuel economy benefit to replacing a modern catalytic converter on a non turbo engine, no one really knows about them. But on a vehicle equipped with a turbocharger, an after-market downpipe can make serious power increases. An engine is basically a pump. The more air you put into the pump, the more power you put out(huge generalization but good for explanation). And a turbocharger and you increase the amount of air going into the pump significantly. Mostly because the turbo is essentially a smaller pump which compresses the air to fit in the larger pump(the engine). So its important that the turbo is free to cram as much air into the pump as possible and the best way to ensure that is to open up any restriction into and out of the turbo. By reducing exhaust gas restrictions, the turbocharger can spool up more quickly. Faster spool-up times mean more power and/or better fuel economy. On many turbocharged vehicles, the exhaust pipes coming in and out of the turbo contain numerous bends. The factory needs to make compromises between effluence mass production and performance. So a downpipe with numerous bends and kinks can restrict exhaust gas flow in and/or out of the turbo. As a result, many after-market exhaust manufacturers offer over-sized exhaust downpipes with mandrel bends like the ZIMA pipes shown below. 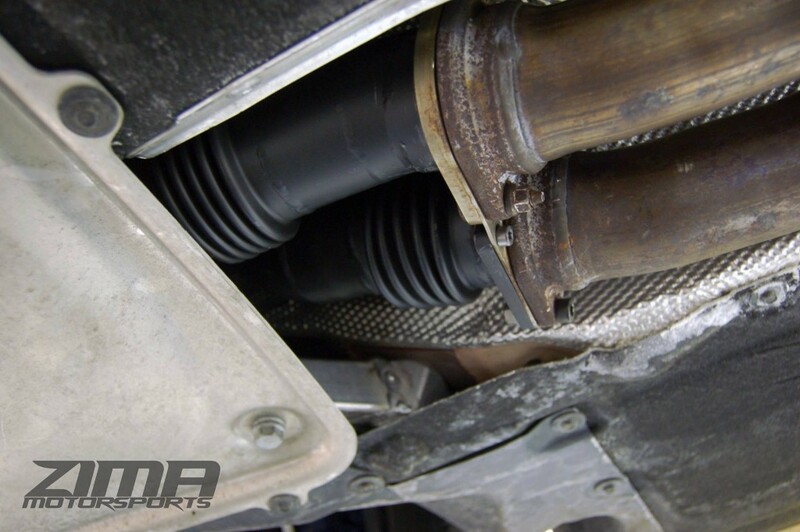 “The factory downpipes utilize a flex pipe which is crucial in aiding flex to the down pipes while under acceleration. Some competitors have not added the flex pipe but we have taken initiative and added one to ours. Being Twin Turbo’d the S55 engine produces a lot of heat in the engine compartment. With that in mind we had our down pipes ceramic coated so they emit less heat while driving by your feet and transmission while keeping the heat inside the downpipes as well. Please note:The installation of our downpipes might cause a fault code in the car electronics. More information upon request. $1,085 and you can buy it direct from Zima Motorsports.